The Closed-Captioning simply does not work. It gets a few of the words/text, but it’s very jumpy and misses random parts and just doesn’t work. We rarely used captions, but sometimes it’s nice to have the news on with the sound down and the captions up, so that you can still read what’s going on without the noise intrustion, or when watching a quiet movie that you don’t want to blast the sound way up. This is a nagging issue, but not bad enough for us to have tried returning the unit, and we didn’t discover until about 90 days in, meaning we couldn’t just go back to Best Buy and exchange it, we would have had to have done some kind of swap with Westinghouse, and would have almost certainly gotten a refurb unit to replace our brand-spanking-new one. The PC input doesn’t auto-center the input. When we switch to view our PC, the video is about 25% of the way moved to the left, leaving a fat wide black bar on the right. We can jump into the TV’s menu and hit “Auto Adjustment” under the PC options, and it quickly centers the picture properly. However, we have to do this EVERY SINGLE TIME WE SWITCH TO THE PC INPUT, which gets very annoying. Again, it’s annoying but fell into the category of “to be expected at this price” for us. Also, the audio input from the PC has a background buzz if you turn the sound up. The remote control doesn’t work well from 10 feet away. You have to be really close, like 7 feet, for it to work reliably. This tends to defeat the purpose of a big television that you sit back from to enjoy the splendiforous big picture. It’s even worse if you’re off to the side and not dead-on center when using the remote. Again, something to be expected on a cheaper television, but annoying. On the regular TV component input, the televison occasionally doesn’t sense that there is a sound channel input, and so sets the status as “no input detected” (or something like that) and won’t play the sound. We have to switch away from the TV input and then back to get it to recognize the input correctly. Annoying. The audio is two-channel stereo only, so no 5-channel surround experience. Two weeks after our warranty expired (that’s right, two weeks), our television developed a bright green line of pixels down the left hand side, which shows on all inputs and even shows when the TV is powering up. I have been on the phone with Westinghouse and they have confirmed that it’s a repair issue, but only after first telling me that it was “pixel memory” and making me turn the TV off and unplug it for 24 hours. A bright green line is NOT pixel burn, but they wouldn’t proceed until I tried it. Now I’m going to have to fight with them to see if I can get a waiver to get this repaired for goodwill or something, since the it’s out of warranty. I don’t have high hopes. I’ll post the results back here when all is said and done. 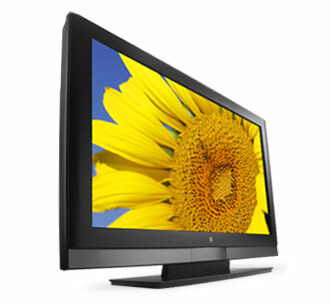 Subscribe to comments with RSS or TrackBack to 'Review of the Westinghouse 47″ LCD HDTV (TX-47F430S)'. Well, the green line I wrote about above is not on the right (or left) sides. It’s towards the left side, but it’s about 3 inches in from the left, and goes from top to bottom, basically a single, vertical row of bright green pixels. That being said, I also now have a green band down the far right-side of the screen when watching cable from my current provider. Note that I do not have this green band from my satellite HD provider, nor from my DVD HD input, only from my cable provider, so I think it has something to do with their signal. You may or may not be experiencing the same thing, but I’d be curious if you have any other HD sources you can hook up to see if the green band stays on the right hand side. I, too, have a green band on the right side while watching HD and only in the “standard” setting. Does not happen when I’m watching the same cable channels not in HD. Any suggestions out there?